Alphakronik Genes Bubba Love is their first offering of their new Kush line. If you are tired of growing seed that claims to be a "Kush", yet all the traits a far from what a Kush should be, then Bubba Love is the Kush for you. By crossing their potent and tasty Snowdawg with the world famous Pre-98 Bubba Kush cut, AKG has created a hybrid that highlights the wonderful coffee flavor with lemon undertones, plus its extreme "stone" or "couchlock" effect of the Bubba, with some added fruit flavors and size from the dad. 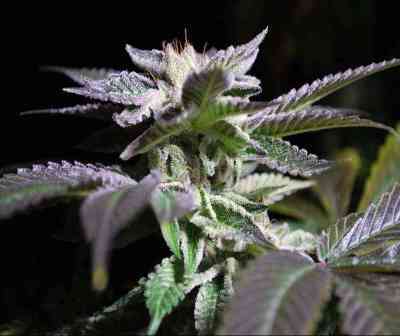 The Pre-98 Bubba Kush has been known to be one of the best pure (90%) Indica plants currently being grown today. Huge fan leaves, rock hard golf ball sized nugs covered in THC and CBD laden trichomes that will melt you into your chair. Medical Conditions: Chronic Pain, Insomnia, Glaucoma, Migraine Headaches, Multiple Sclerosis, Wasting associated with AIDS/HIV, Fibromyalgia, Arthritis, more.